I grew up as Melissa Musen. I loved the sound of it. I knew that our name Musen was Austrian and that our ancestors were from Austria, but from where? Shortly after I was married, I became Melissa Gerstein and missed my maiden name Musen. Then I became a mother and as my children grew up they started to ask me questions about my side of the family; the Musen Family. I spoke with my dad often about his Austrian roots, and we had very little information. He visited Austria years ago and found nothing. 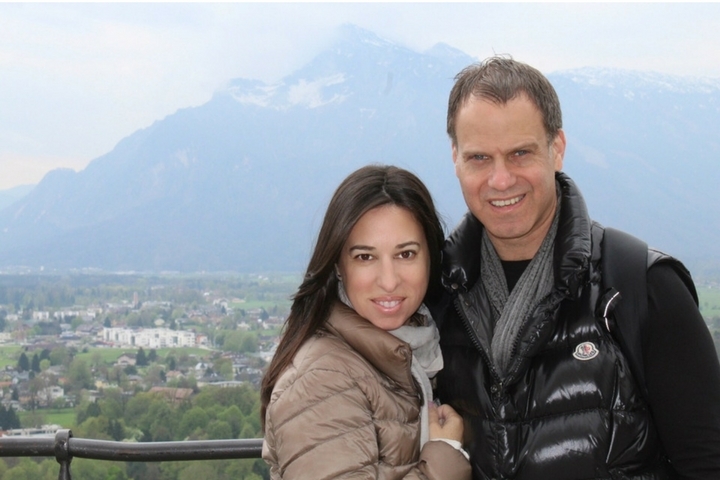 But I was curious, I wanted my children to see Austria with their grandparents. We decided with lots of planning to set out on an adventure to explore Austria and all its glory. We boarded Austrian Airlines, all 7 of us! It was my family of 5 and my parents from St. Louis. Even the flight was fun with the activities and sweets they offer kids. You live once and life is short so we went with excitement and the unknown. We flew overnight and arrived into Vienna with the most beautiful Spring Day! We checked into the Hotel Altstadt, which was one of the most magnificent hotels we have ever stayed at. It’s a boutique hotel with 45 suites that are all individually designed right in the heart of all the Vienna attractions. Everywhere you look you feel like you’re in “old Europe” with an artistic modern flair. According to my son, it was “the coolest” place we have ever stayed. We headed out and had a wonderful brunch at Café Ulrich and then walked straight to the Ring, which surrounds the historical city. The kids were totally in awe. Everywhere you looked there was such beauty and history. 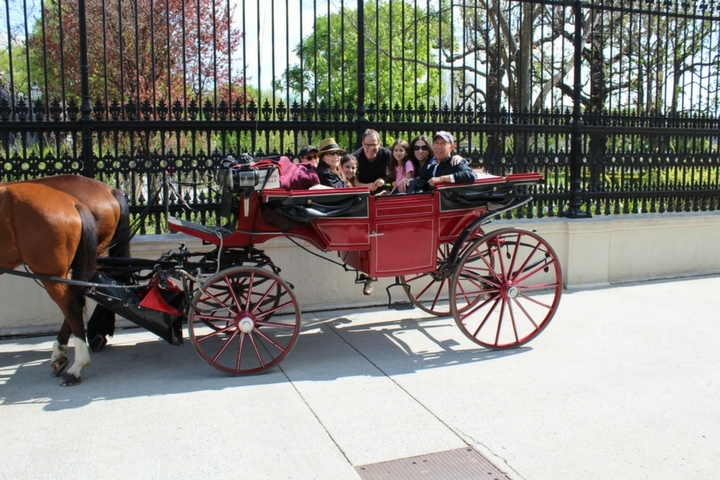 They were a bit tired from the flight so we were able to take a horse and carriage ride with a guide who explained all the history and sights we were taking in. This included Imperial Palace, City Hall and the gorgeous State Opera House. We pushed through the day and had an early Italian dinner and fell asleep dreaming about Vienna. We woke early and Dad headed to City Hall to find out more about our Musen Family. He found nothing and that possibly our name had been changed. That left us all a bit sad of course. 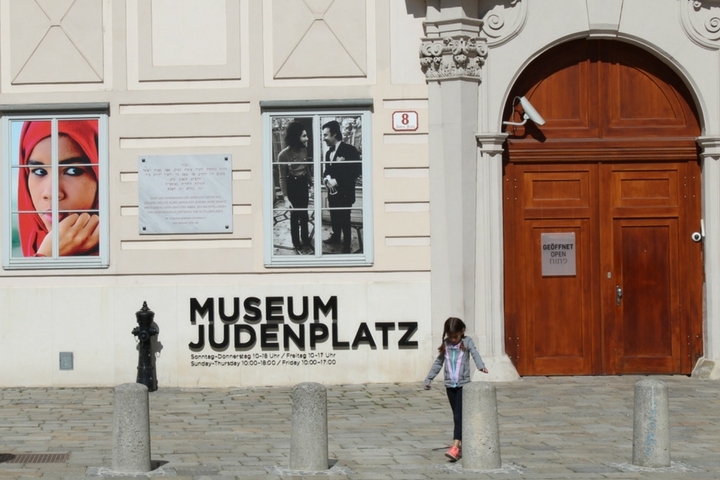 We then had a delicious buffet breakfast that is included at The Hotel Altstadt and met a guide who took us through Judeplatz (old Jewish Vienna). 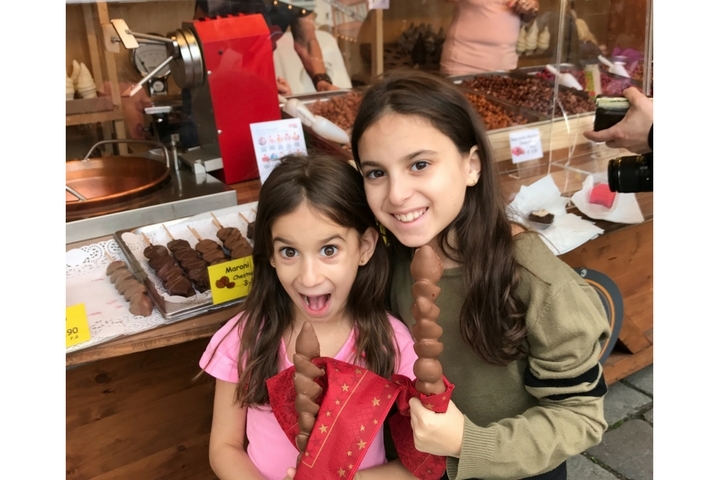 We stopped by the oldest synagogue, took in the Jewish Museum and also found many Easter Markets along the way with candy and treats for the kids. 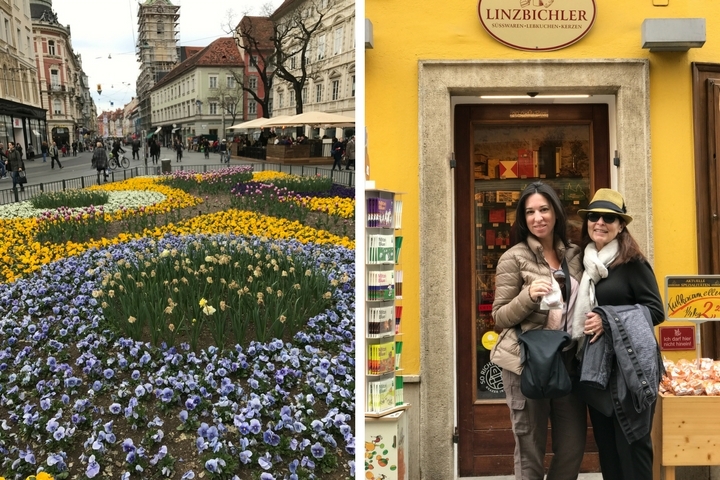 From the foods and sweets to our favorite Café Dilgas, Spring time in Vienna was simply marvelous. We took the kids to Haus der Musik which is an interactive sound museum where we could all learn more about Mozart and other musical composers who came from Austria. 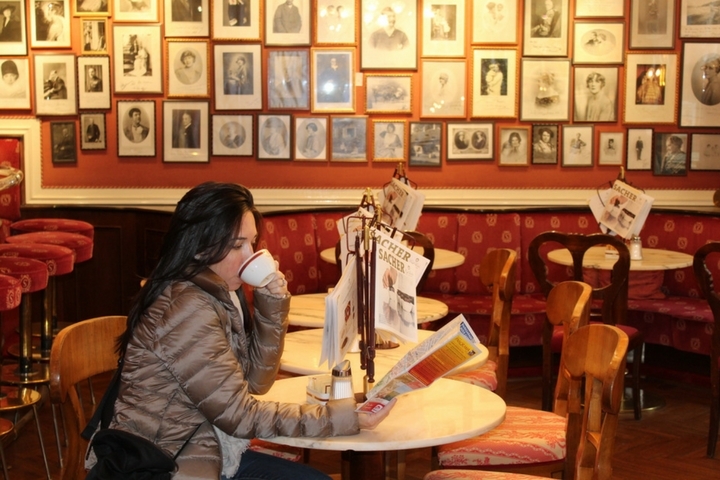 Following our afternoon of music, we stopped at Café Mozart, which is where we also found the Sacher Torte. The Sacher Hotels and their chocolate torte is the best chocolate cake I have ever had in my entire life. Next stop, we headed to Graz. This is the city not to be missed while in Austria. Our children actually loved Graz the most. 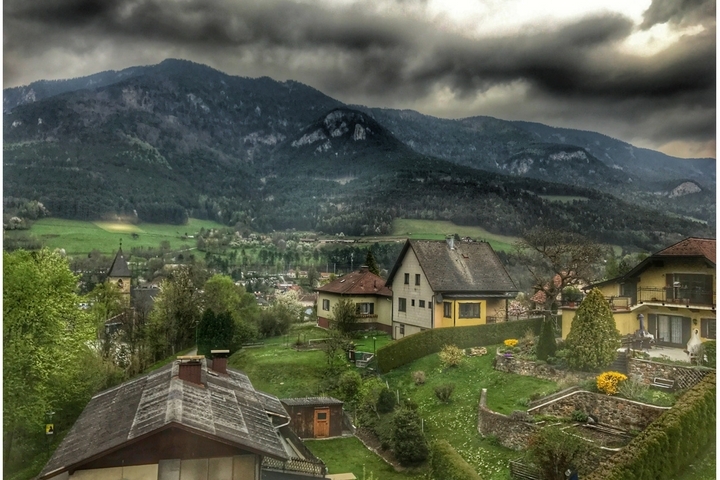 This train ride to this medieval town in the South of Austria was one of the most beautiful train rides I have ever experienced. We found ourselves taking photos outside the train windows the entire time. You pass through these old villages that make you feel as if you are inside a painting. 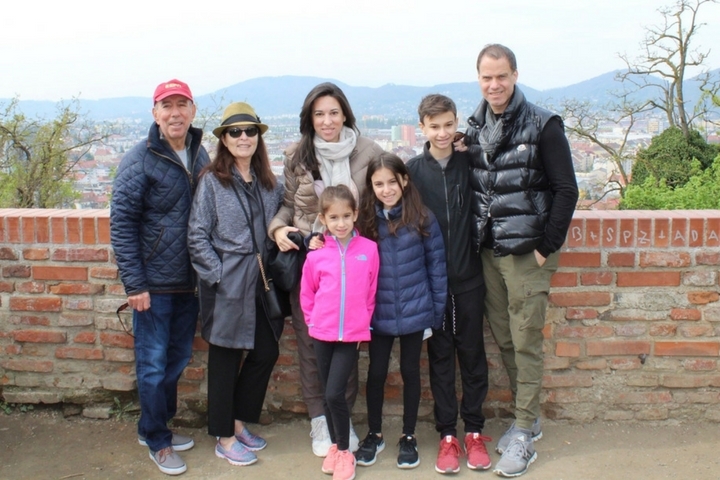 Graz is like a hidden treasure for families. 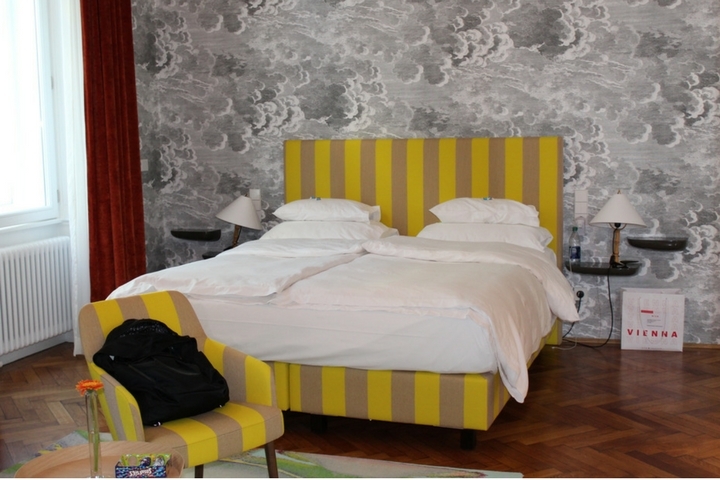 We checked into the Hotel Wiesler, which is right in the heart of town and quite a special little boutique hotel. We had a late lunch at their restaurant Speisesaal and it did not disappoint. Make sure you order the chocolate ball if you find yourself dining with them. That afternoon we wandered and shopped in this charming city. The kids found some Austrian gifts that included a dress from Gerstner’s, and a famous chocolate shop, Linzbichler. Of course it was all gone by the time we got back to the hotel. 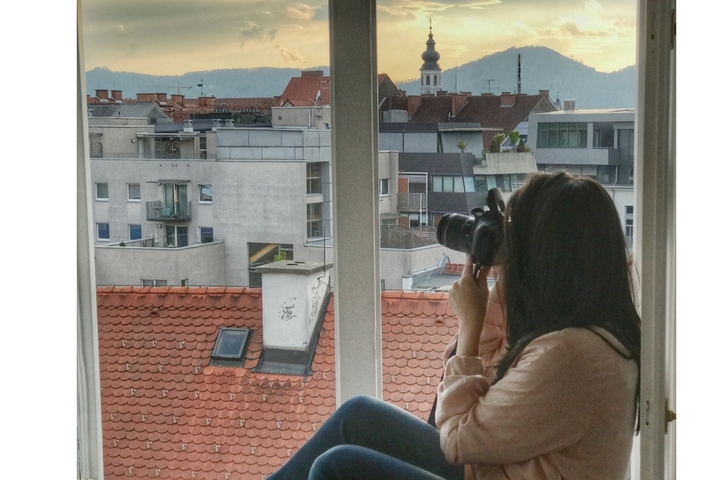 The most incredible thing to do in Graz was to visit the top of Schlossberg and the old clock tower. This was the most memorable day in Graz. The views from the top and the funicular up and down were truly magical. We did visit the City Hall before our next stop to try and find out more about our Musen family and we came up empty handed. I could see that my Dad was disappointed, and I told him we would not give up. After Graz, we adventured onto Salzburg, the “City of Mozart.” Yes, also the home of Sound of Music but home to so much more. 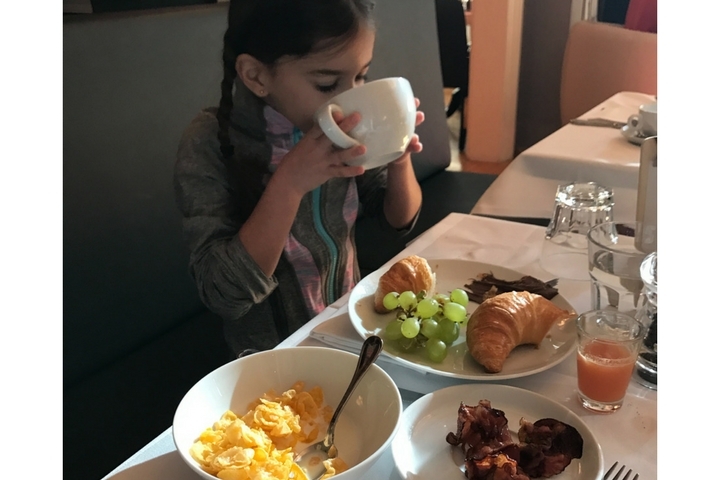 We took the train and headed straight to The Sacher hotel for breakfast. It was like stepping back into time or into an old painting. We had coffee and a delicious brunch and then walked across the street to The Mirabell Palace and Gardens, which was an original shooting location for The Sound of Music. Following the gardens we went to Hohensalzburg Fortress, which is the biggest preserved castle in Central Europe. We took the funicular up and walked around admiring the Alps and the views! We also visited the Marionette Museum, which was one of my “favorite things”, and I actually tried to work one of the puppets, it was like being in that famous scene in The Sound of Music. 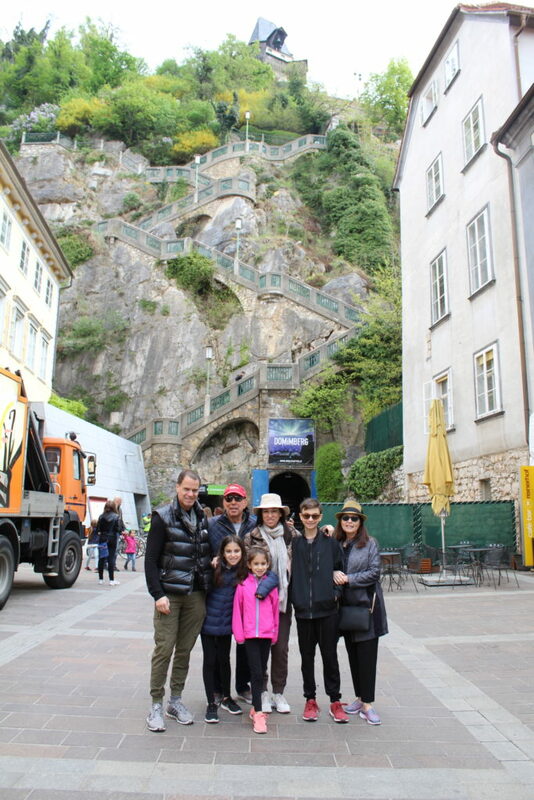 We toured as much of Salzburg as we could. But to be honest, you could easily sit in a café and have a glass of wine and look out at the Alps all day too. We did that at the end of our day. For our last night in Vienna we stayed at the Pension Sacher apartments, which is a wonderful alternative when traveling with a family. 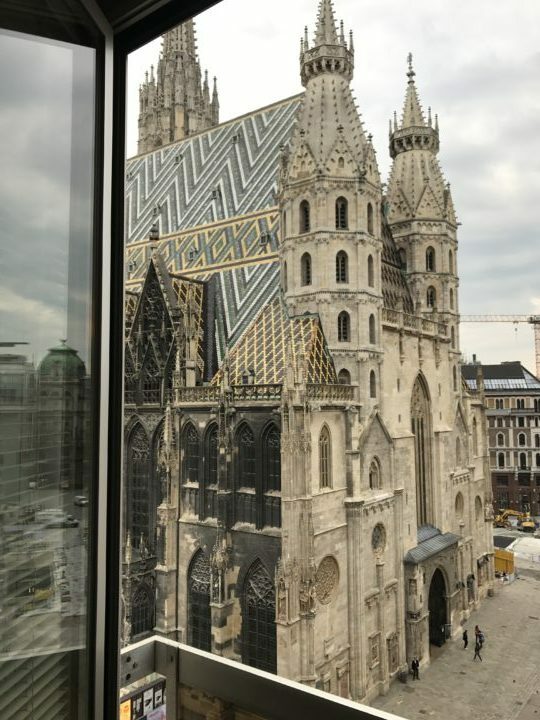 They are located in the heart of Stephansplatz right in the center of Vienna, with full kitchens and views of St. Stephen’s Cathedral. They even have a washing machine, which is quite handy when traveling abroad with children. On our last evening, we celebrated my baby’s birthday, which topped off the entire trip! She got to celebrate for 30 hours since we left Vienna on her birthday and arrived back home to New York City on the same day. The captain on Austrian Airlines even wished her a Happy 8th Birthday too. Maybe we will get to celebrate her birthday again one day in Austria. Maybe we will be able to find our Musen family ancestors one day too. But what we do know is that Austria is our greatest family trip thus far and we cannot wait to return to #FeelAustria again.